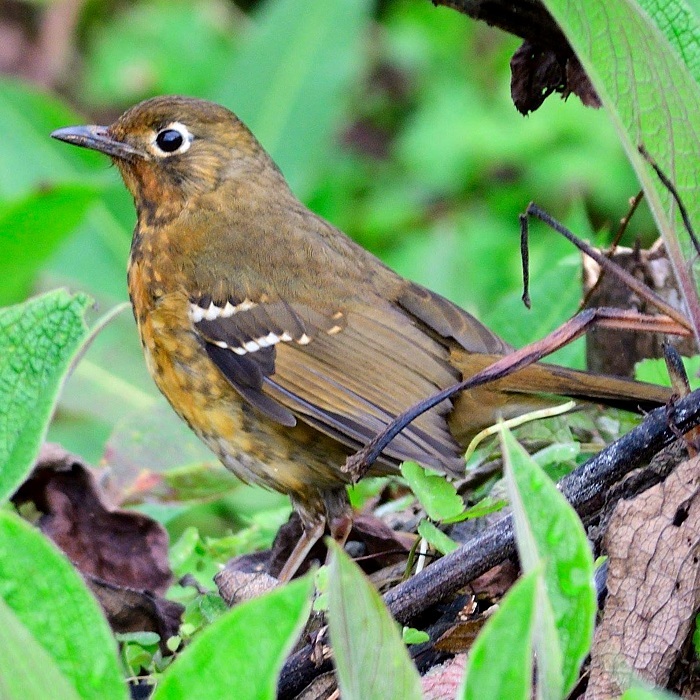 The Abyssinian ground-thrush may be seen in the highland forests of north central Tanzania.. The photo was taken in Mt. Kenya NP (7-18), courtesy of Per Holmen. Note the wide white eye-ring.